4 Bedrooms/3.5 Baths (With a steam shower). Exceptional details and stately elegance in this authentic Williamsburg Estate. 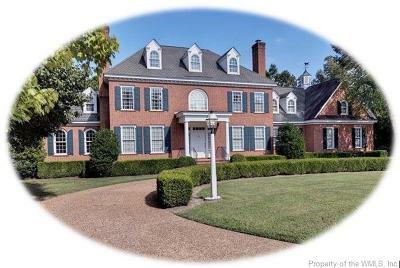 2 story foyer welcomes you, taking you through arched entry ways into the family room with custom crafted millwork, coffered ceilings and built ins; the room opens to a breathtaking balcony over looking colonial style gardens and patios. No expense spared in the formal dining room with fireplace and hardwood floors; formal living rm and a gentleman's office with fireplace & built in cabinets; a chef's delight of a kitchen with expansive corian and granite counters and an island; separate kitchen eating area; double ovens, sub zero; surprise pantry; a morning sun room with bench seating and Crystal Chandelier; laundry rm; mud rm; upstairs oft area; a great back staircase to 2nd floor and unfinished room over the garage - endless options with numerous unfinished spaces. Lower level walk out with full bath, 2 separate rms (4th bedroom) and entertainment spaces; no detail missed - Van Kniest built and maintained. 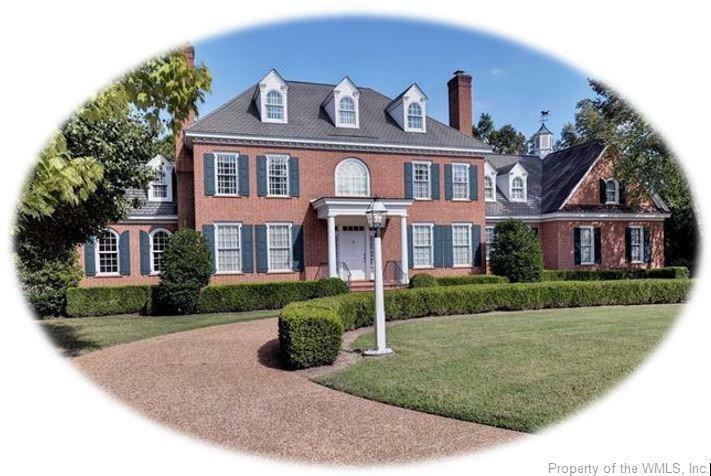 Timeless elegances makes this brick home a Treasure for all eternity. Allow yourself to experience unduplicatable elegance and style.